Picking the right HDTV is always a challenge. There are so many models to choose fro and no easy way to compare them. Online, they all look like identical black rectangles. In the stores, lighting conditions and inconsistent settings make it impossible to judge the HDTV's picture quality. We asked Gary Merson of HDGuru.com for his top picks under $1000 among all the top name brands and with screen sizes ranging from 47 to 55-inches. Gary says that each HDTV technology has its particular advantages: Best overall picture quality for the plasma, largest-screen-size-for-the-money LCD and slimmest form factor and highest energy efficiency for the LEDs. All his picks are 1080p resolution. The 3D feature is included in four out of the five sets, with the plasmas using active Full HD and the LEDs employing passive 3D technology. All the 3D sets include Internet connectivity for movie streaming and other applications. Panasonic TC-P50ST30 plasma provides top price/performance, the widest viewing angle, excellent picture uniformity, good color, Full HD active 3D, Internet streaming, apps and more. 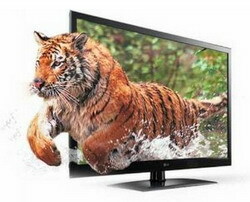 The ST30 series also includes screen sizes of 46, 55, 60 and 65 inches. Check out the HDGuru review. The 50-inch is currently priced on Amazon direct for $829.98, 45% off of its $1500 retail price. Samsung PN51D6500 adds an inch of screen over the Panasonic 50-inch. The D6500 features excellent picture uniformity, widest viewing angle, slim 1.5 inch depth, Full HD active 3D, Internet streaming with apps and more. The D6500 series also includes a 59-inch model. The PN51D6500 sells for $999.84 + $73.26 shipping at nextdaypc or $1055.00 including shipping Video Audio Center via Amazon. LG 47LW5600 LED uses LGs IPS panel for wider viewing angle than many other LED LCDs. The 5600 features include 120Hz refresh, 1.75 inch depth, passive 3D, edge-lit LED with regional dimming, Internet streaming/apps, WiFi and more. 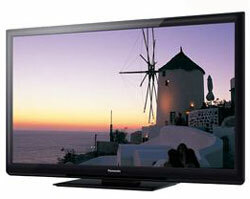 The 5600 series is also available in the 55-inch screen size. Check out the HDGuru review. The 47-inch sells for $958.77 including shipping Video & Audio Center via Amazon, 44% off of its retail price. Toshiba 47TL515U LED HDTV boasts a wide viewing angle IPS panel with matte finish for low room light reflections, 1.1 inch depth, 120 Hz refresh plus scanning backlight, Internet streaming, passive 3D, Wi-Fi and more. The 515 series is also available in the 32, 42, and 55-inch screen sizes. The 47-inch sells for $899.99 from Paul’s TV via Amazon with free shipping, 47% off of its $1700 retail price. 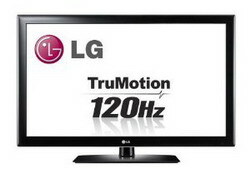 LG 55LK520 is the largest HDTV in our group with a 55-inch screen. It’s a CCFL backlit LCD panel with 120 Hz refresh rate. Features are pretty basic, however this LG does include a wide viewing angle IPS panel with a matte finish for low room light reflections. 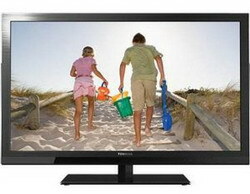 The 520 series is also available in the 42 and 47-inch screen sizes. 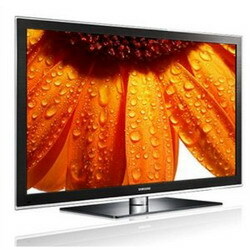 The 55-inch sells for $918.39 plus shipping Electronics Expo via Amazon. Note: prices may fluctuate and these deals can sell out quickly, so check the prices for the latest deals.